The Farm Doctor talks with Agriculture Program Chair Scott Caldwell & Adjunct Instructor Don Sturgeon from Ivy Tech Richmond. Farm Doctor Jon Williams sits down with Nathan Williamson. Farm Doctor Jon Williams talks with Don Thurston. Farm Doctor Jon Williams talks with Stephen Brouillette. Farm Doctor Jon Williams talks with Lucas Wright. The Farm Doctor is out this week. Rusty Harmeyer talks with Jim Mintert. Farm Doctor Jon Williams talks with Stephen Brouillette on the phone. Farm Doctor Jon Williams talks with Terry Barr and Lindsey Sankey of Harvest Land Co-Op. Farm Doctor Jon Williams talks with Chuck Conner on the phone and Jason Roll and some FFA students come by as well. Farm Doctor Jon Williams talks with area farmer Ben, a seed specialist. Farm Doctor Jon Williams talks with Jason Roll, Northeastern FFA advisor and area farmer. Farm Doctor Jon Williams talks with Elisha Chriswell about kicking off this years 4H program. Farm Doctor Jon Williams sits with Scott Caldwell. Caldwell is Program Chair for Ivy Tech's AG program. Farm Doctor Jon Williams talks with Rusty Harmeyer about trends with land values, prices, and leases. Farm Doctor Jon Williams talks with an area grower, as he recaps this past year, and how some of those issues may have influenced his decisions for next year. Farm Doctor Jon Williams talks with Stephen Brouillette to give some pointers on marketing this years crop into next year. Farm Doctor Jon Williams talks with Dr. Julie Davis, Davis is a Large Animal Practioner at Circle D Services. Farm Doctor Jon Williams is back out on the combine with Don Thurston, as he is finishing up this challenging 2018 crop. 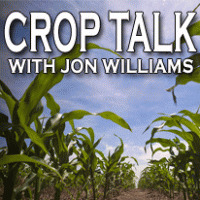 Farm Doctor Jon Williams talks with Stephen Brouillette of Cardinal Ethanol about several important issues that you want to listen to. Farm Doctor Jon Williams talks with Matt and Michelle Walther at the Livestock Expo in Louisville, Kentucky. The Walthers are local beef and grain producers. Farm Doctor Jon Williams talks with Rusty Harmeyer about the local AG economy. Farm Doctor Jon Williams talks with an area farmer following up on his progress on getting this years crop out of the field. Farm Doctor Jon Williams talks with Stephen Brouillette of Cardinal ethanol to comment on what he thinks needs to happen, to get prices moving in a positive direction. Farm Doctor Jon Williams steps up in the combine once again with Don Thurston as he continues to to follow Thurston's progress on getting this years crop in the bin. Farm Doctor Jon Williams stands in the fields with Lucas Wright to comment on this years yeild of crop. 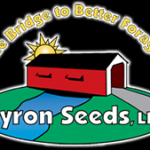 Wright is a crop specialist with Nutrient Ag Solutions and an area farmer. Farm Doctor Jon Williams gets on the combine with an area farmer to check out the yield. Farm Doctor Jon Williams sits down with Stephen Brouillette of Cardinal Ehtanol to comment on the huge crop coming in now. Farm Doctor Jon Williams goes out in the field with area farmer Don Thurston. They take a combine out to see if the crops are as good as everyone has been talking about. Farm Doctor Jon Williams talks with Scott Caldwell. Caldwell is the Agriculture Program Chair at Ivy Tech in Richmond, IN. Caldwell most recently won the Glen A. Sample award (Top Ivy Tech professor statewide). 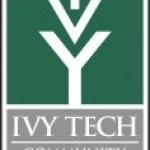 The two will discuss the new things Ivy Tech AG has to offer this school year. Farm Doctor Jon Williams sits down with Nathan Williamson. Williamson is a seed specialist at Golden Harvest Seeds, a Hagerstown High School shop teacher, and an area farmer. The Farm Doctor sits down with Don Thurston. The Farm Doctor sits down with Wayne County Extension Agents. 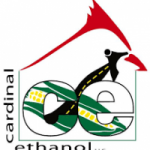 The Farm Doctor talks with Stephen Brouillette from Cardinal Ethanol. 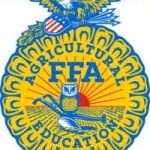 The Farm Doctor talks with Agriculture Program Chair Scott Caldwell from Ivy Tech Richmond.